Early experiences with science can help children develop the problem-solving skills they need for life. 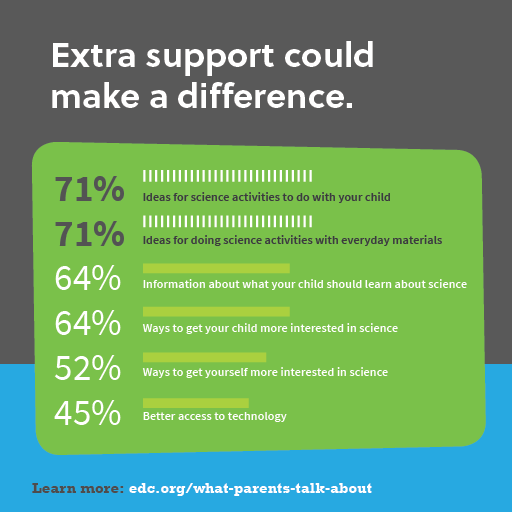 What Parents Talk About When They Talk About Learning: A National Survey About Young Children and Science, a new report from EDC and SRI International, provides a window into parents’ perceptions of early science learning at home—and presents some opportunities for improvement. Help us tell parents, educators, and media producers about the importance of early science learning by downloading the images below to share.